Augmented Reality is in its budding stage and jumping into the arena is definitely a smart challenge. 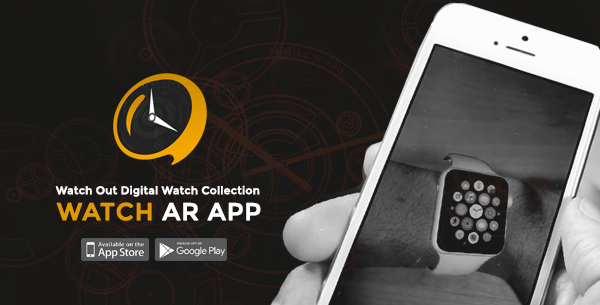 Therefore, this is the second attempt of BSEtec to create an AR app that helps to choose the right watch from a huge array of watches. The Watch AR plus demonstrates virtual try-on of different watches on the user’s wrist. The app uses marker based AR with the help of Vuforia SDK and Unity 3D engine. The Watch AR Plus supports both Android and iOS platforms, invariably. Using the app is absolutely easy, simple and fun. Once the app has been launched, place a paper dial on the wrist to check the virtual watch on the hand. Place the wrist above the paper and see it through the mobile camera. Surprisingly, the watch appears on the wrist. Make use of the app to try the watch from different angles. The app also allows zooming in and zooming out the screen, to find subtle details of the watch. By tapping on the screen, the color of the strap can be changed. You can also take screen shots of wrist with your favorite watches around it. Essentially, the watch stores can add all the watch models, available in the display, in the app and assist the customers to choose the right one, in just a few seconds. Simply swipe the watches, displayed on the end of the screen to let the watch sit virtually on the wrist. Without spending too much time on trying every watch on the wrist, the potential customers can make an immediate, yet a smart choice.